license allows Licensee (home user or organization) to serve one computer (workstation or SERVER) for its entire lifetime and can be transferred to another computer when the served computer is decommissioned or replaced. The license may not be transferred between different computers back and forth and be reused on the computer it was transferred from. R-Drive Image Technician license allows the Licensee (home user or organization) to serve as many computers as required, provided that the software is not installed or run simultaneously on more computers than there are purchased licenses. With one technician license, you may serve any number of workstations or servers within your home network or organization, but you may not duplicate the software and use more than one copy of the software. The software can be temporally installed and/or run on a served computer but should be removed if you need to serve another computer. If you have several technicians and would like to serve more than one computer at the same time, you should consider purchasing multiple licenses. 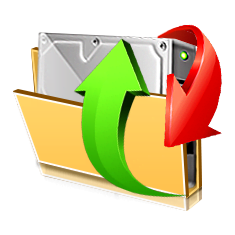 The local version supports saving the created images (backup files) to network drives as well as restoring the saved images from the network drives, but the software must be installed or run on the served computer. R-Drive Image Technician (local version) does not give you the capability of serving a remote computer. The license grants system integrators, consultants, and computer assemblers the right to deploy multiple machines with standard system images for their customers. The license permits cloning different system images either on one PC or using one CD startup set an unlimited number of times. R-Drive Image OEM kit includes three different components. license grants licensee (system integrators, consultants and computer assemblers etc.) a nonexclusive right to create and distribute OEM System Recovery media device provided that each one is distributed with a fully assembled computer system or hardware. A "OEM System Recovery media device" means a CD/DVD/USB drive/ZIP drive/any removable media that contains a system image file and allows to restore system files, registry keys, installed programs, etc., to a state the computer system or hardware was setup by licensee. A "fully assembled computer system", later referred to as "computer" means a computer system consisting of at least a central processing unit, a motherboard, a hard drive, a power supply, and a case. The license allows creating and distributing unlimited number of System Recovery media devices of unlimited number of systems at no extra charge provided that R-Drive Image OEM unregistered version is preinstalled on each distributed computer and R-Drive Image software icon is placed on the end user desktop. If for some reason the licensee can't preinstall R-Drive Image OEM version on the distributed computers an additional charge may apply depending on a number of distributed OEM System Recovery devices/licenses. license allows the end user (home user or organization) to restore system files, registry keys, installed programs, etc., to a state the computer system or hardware was setup by R-Drive Image SRMC licensee (computer assembler, system integrator etc.). preinstalled version comes with 30 day trial license. The OEM version is distributed with a fully assembled computer system only and can not be downloaded from R-TT directly. The trial period is counted from the day of the first completed procedure (image creation, image reading, etc.). R-Drive Image OEM version users are provided with 10% discount on R-Drive Image Standalone license.